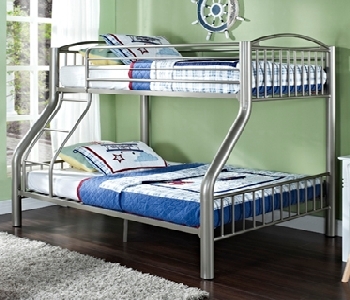 This Twin Over Full Bunk Bed is made to withstand all of the adventures and pressures of a youth environment. Crafted of Pewter finished Metal, this piece easily complements the ever changing decor of a childs room. Two beds in the space of one, this piece features a twin size bed above a full size bed. 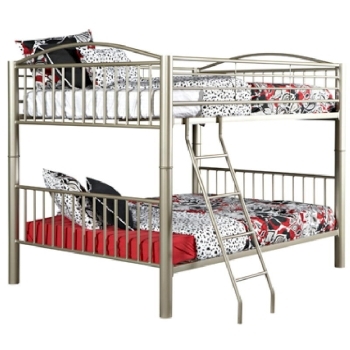 A stylish yet sturdy step ladder provides easy up and down access to the top bunk.